Today is the day: Amazon just launched its first dedicated skincare line. 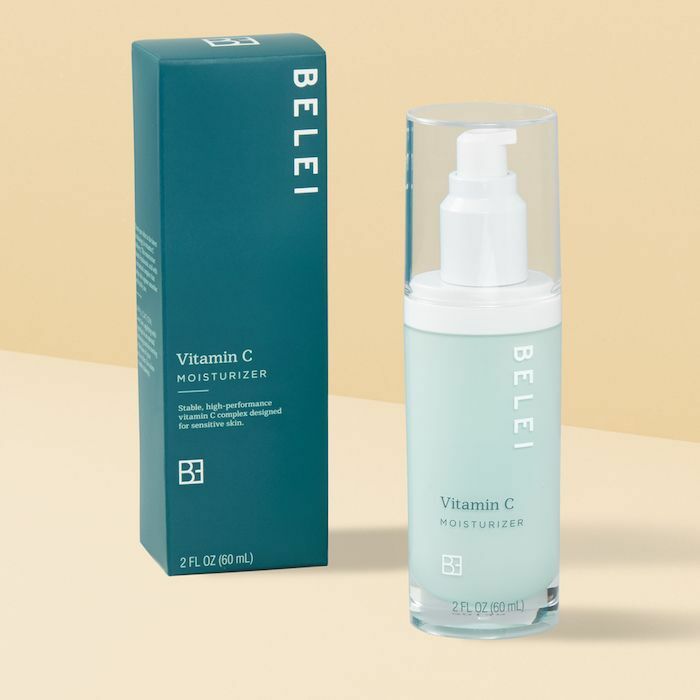 It's called Belei, and it's the umbrella brand for 12 different skincare products (well, 12 different skincare products so far). It only makes sense that the mega-retailer would create its own skincare line, seeing as it's already a hub for beauty products; it consistently adds new offerings to its virtual shelves—offerings that rival those from other beauty retailers like Target, CVS, Ulta, and Sephora. If we're being completely honest, we're surprised that a dedicated beauty brand is only launching now. As with any buzzy beauty launch, we couldn't wait to find out more about the brand—namely the price point, product selection, packaging, and formulations. We knew that it would be free of sulfates, parabens, and phthalates, along with being cruelty-free, but we were itching to get our hands on the products to try the formulas out for ourselves. Luckily, Byrdie's senior editor Lindsey Metrus had the chance to test the products out ahead of their launch. Now we have all the details. Keep scrolling to get our honest and unfiltered reviews of 3 of Belei's brand new products. Let's cover all the basics before we delve into the product details. 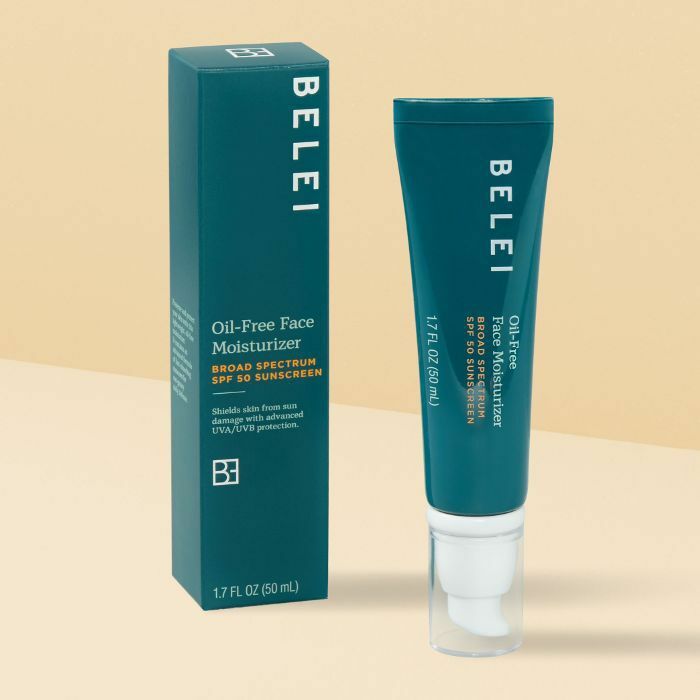 As mentioned before, each Belei product is formulated without sulfates, parabens, and phthalates. It's also cruelty-free. The purpose behind the brand is to simplify skincare, delivering effective products that are centered around a few key ingredients. As the brand states on its Amazon homepage, there's "nothing less, nothing more" about it. The brand boasts 12 different products that run the gamut from makeup wipes to serums to moisturizers and blemish control products. 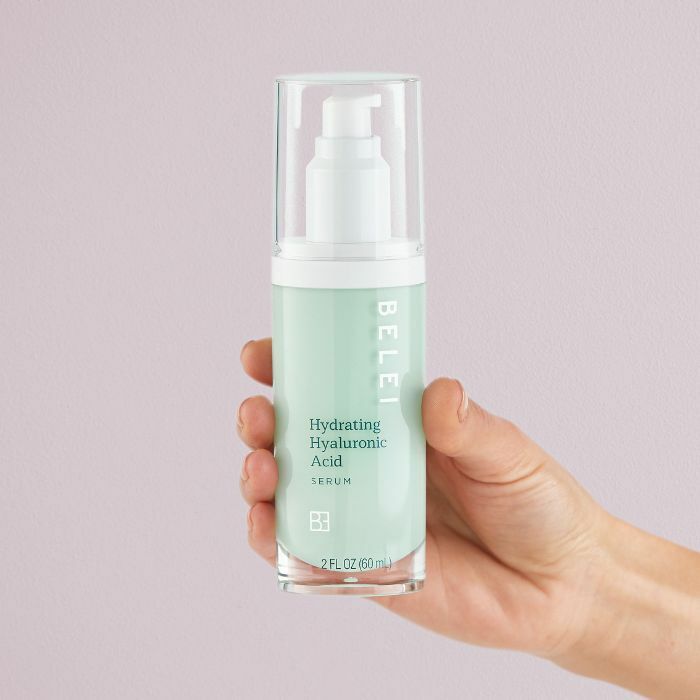 We love the fact that you won't find a single product priced over $40—that includes the brand's retinol moisturizer, eye cream, and various hyaluronic acid-infused serums, which is pretty impressive. The first product we'll delve into is this moisturizer, which contains a hydrating mix of squalane, glycerin, and hyaluronic acid. Along with being free of sulfates, parabens, and phthalates, it's also 100% fragrance-free (that's a big bonus in our book). Byrdie's senior editor Lindsey tested it ahead of its launch. Here's what she had to say about it: "The texture of this moisturizer is great—it's initially very creamy and rich (in the sort of non-greasy way you'd hope from a moisturizer) and left my skin glistening. However, in a matter of seconds, it begin to pill quite badly. I'm not sure if this is because I'd also applied the Ferulic and CE serum as well as the HA serum beforehand and it had a weird reaction with the two or if it's just the nature of the cream, but I was a bit turned off." 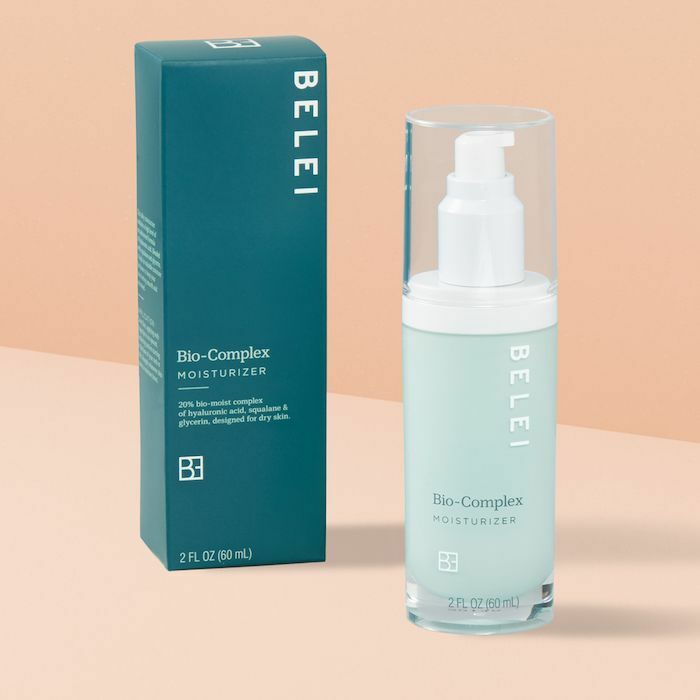 The brand also released another moisturizer, which looks very similar to the aforementioned Bio-Complex one. However, instead of squalane and glycerin, this one is formulated around vitamin C and hyaluronic acid. As such, it's purpose it to brighten and hydrate the skin all in one step. With regular use, the brand promises it will smooth and even the skin tone (on that note, this might be your best bet if you struggle with rogue hyperpigmentation). Then there's this jar moisturizer, which is formulated around a single star ingredient: retinol. Retinol is known for helping with everything from acne to fine lines and wrinkles. 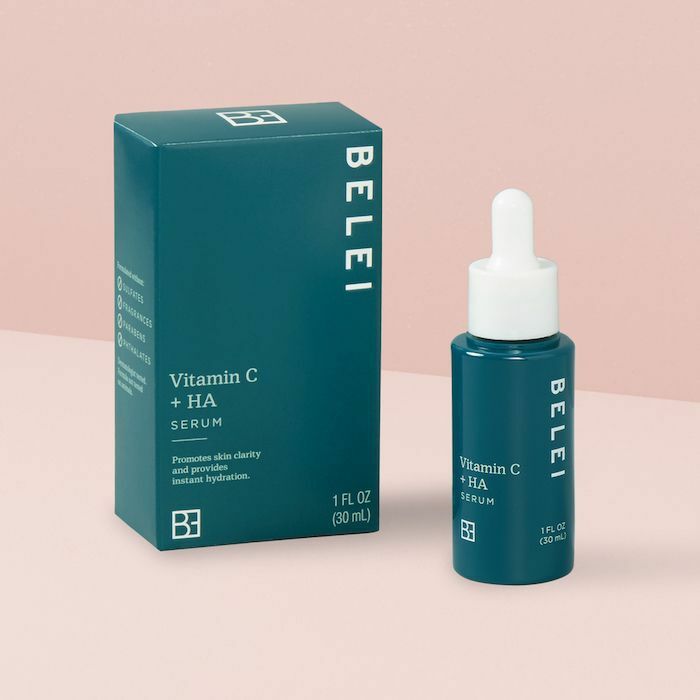 Belei combines the buzzy skincare ingredient with hyaluronic acid and squalane to keep the skin hydrated, plump, and happy. We must say, at only $35, this is much more budget-friendly than other retinol-infused creams on the market. The fourth and final moisturizer is this no-fuss oil-and-fragrance-free formula. Since it's oil-free, it's a good option for people who have skin prone to blemishes and/or excess shine. Since it also has an impressive SPF of 50, it's also a good option for anyone who craves sun protection along with hydration. (Personally, we like when our moisturizer has SPF, so we don't have to think twice about including an extra step in our morning skincare routine). 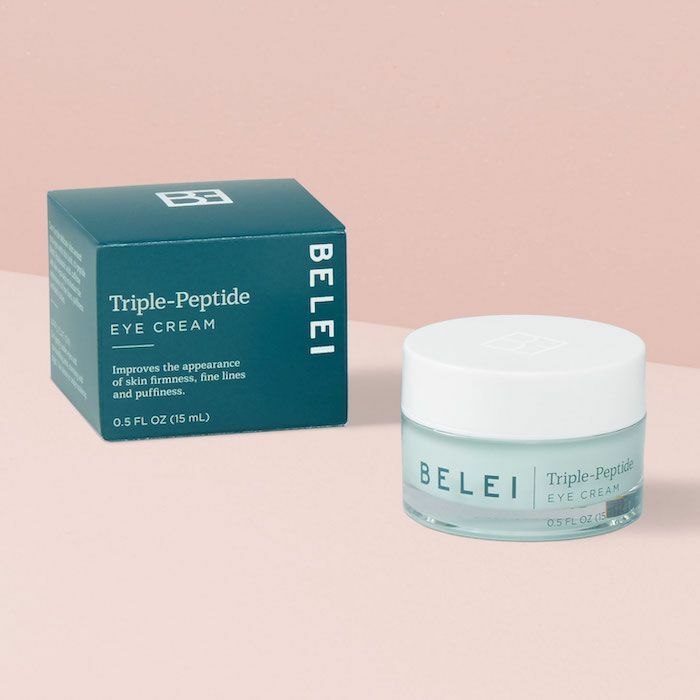 The base of this lightweight eye cream is composed of three ingredients: shea butter, hyaluronic acid, and aloe vera. All 3 of these ingredients plump up fine lines and wrinkles as well as hydrate the dry and delicate under-eye skin. While it says nothing about dark circle eradication (which is a main concern for many of us) it will certainly ease dryness and puffiness. Lindsey also tested this spot treatment, which uses 5.5% benzoyl peroxide to fight acne. According to her, spot treatment effectively diminishes the appearances of blemishes. "Full disclosure: I was completely negligent with my birth control this month and my hormones are out of whack, and with that, my skin has been on the fritz. I have a bunch of tiny bumps and congestion, so I was excited to use this BP spot treatment to hopefully clear some of the clogs. I extracted one particularly bad blackhead on my cheek and applied the cream before bed, and when I woke up it was significantly smaller (as were the other problem areas I'd focused on). Plus I love how large the tube is—most spot treatments come in smaller packaging, so it's nice to know I'll have this one for a while before having to re-stock." 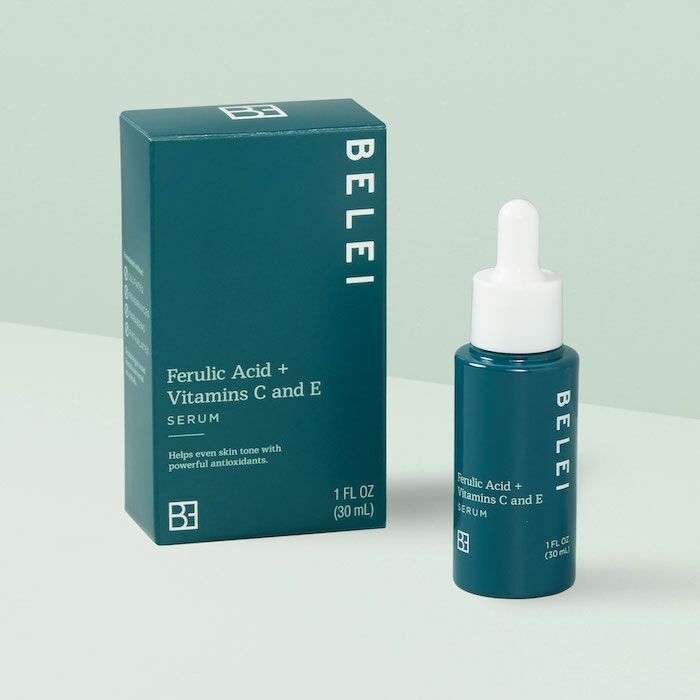 Belei has 4 separate serums that are currently live and up for purchase on Amazon's website. The first is this hyaluronic acid serum, which is meant (as all other HA serums are) to plump and hydrate the skin. What sets it apart from others is that it contains 5 specialized forms of HA for maximum efficacy. Ferulic acid, vitamin C, and vitamin E, are all included in this serum's formula for maximum brightening and evening of the skin tone. These are all antioxidant ingredients, meaning they'll defend against signs of aging and keep the skin looking plump and youthful. Consider this serum like a bottled Instagram filter for your skin. This is the perfect moisturizer to pair with the brand's aforementioned Vitamin C Moisturizer if that's your thing. It uses the same brightening ingredient to even skin tone and provide antioxidant protection. 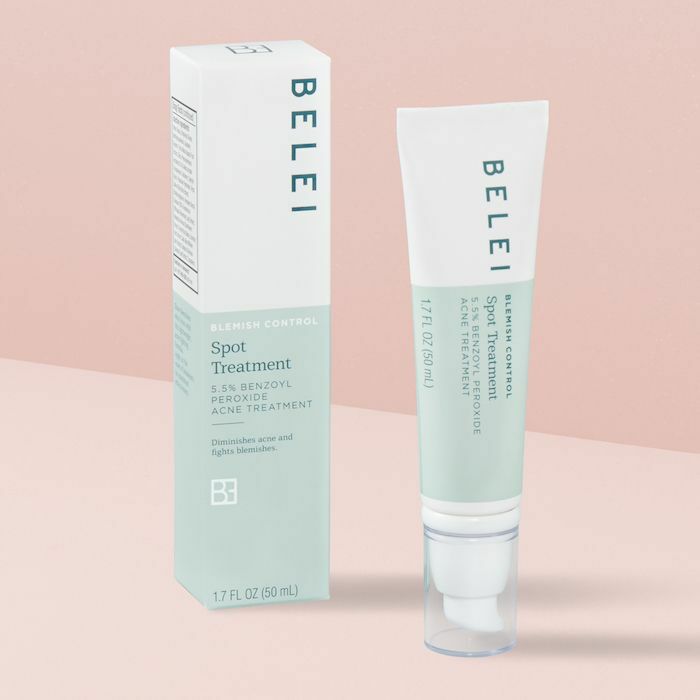 Basically, this might be the Belei serum for you if your skin is showing signs of sun damage (on that note: use SPF every single day to prevent damage from appearing in the first place!). 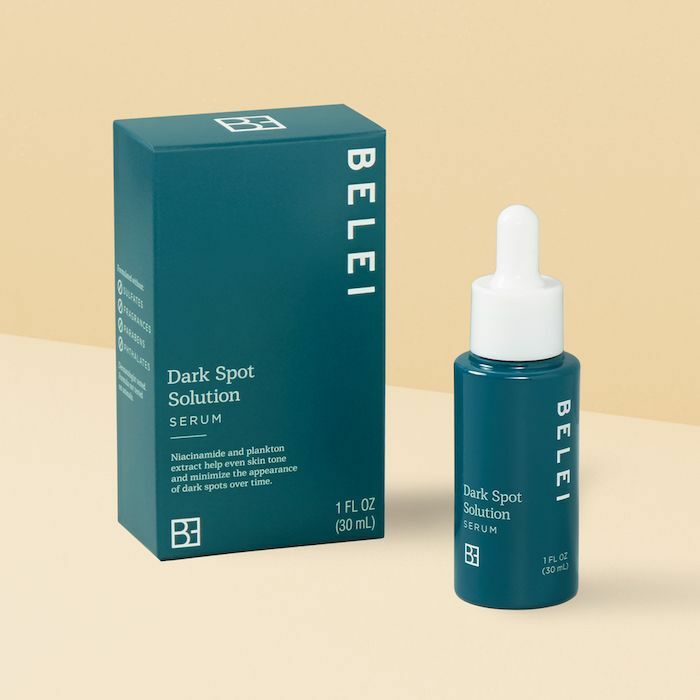 If it's specifically dark spots that have you down, reach for this Belei serum, which uses a combination of niacinimide and plankton extract to ease dark spots and hyperpigmentation. It's even purported to work on dark spots left behind from past blemishes. (Niacinimide, by the way, is a derivative of vitamin B3 that increases collagen production and cell turnover. Read more about it by clicking here). 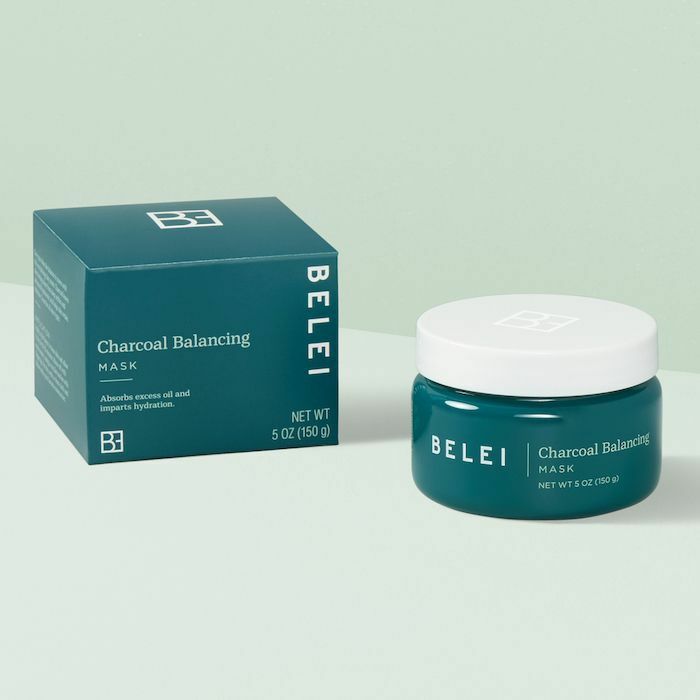 Fans of the detoxifying effects of charcoal will be happy to hear that the brand launched a balancing mask formulated with the dark gray ingredient. It absorbs excess oil (which prevents excess shine from making an unwanted appearance) and whisks impurities away from the surface of the skin. Hyaluronic acid keeps the skin feeling hydrated and plump, not tight and stripped like other charcoal masks. 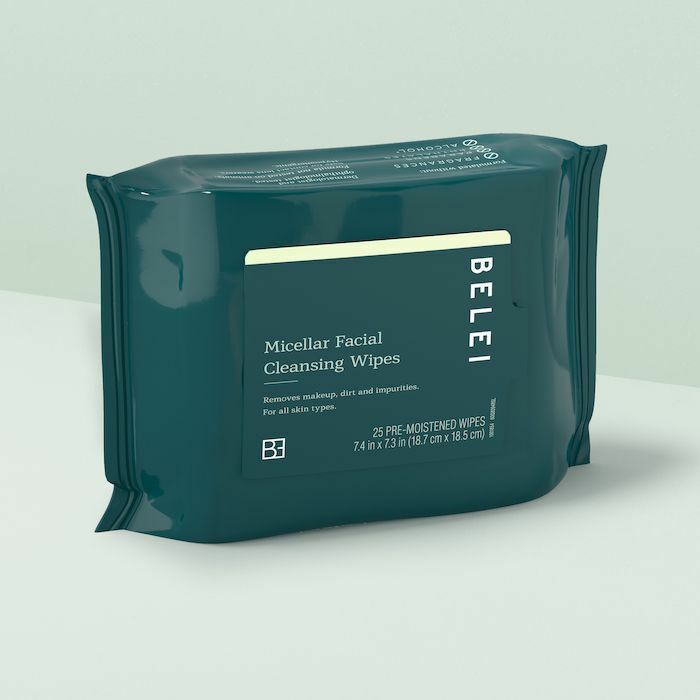 The final (and least expensive) Belei product is this sachet of face wipes. They're soaked in micellar water, which clears away makeup, dirt, and other impurities without a need for rinsing afterward. These are handy for post-gym skin refreshes, makeup removal, and more. We like the fact that they're fragrance- and alcohol-free, which can't be said for other face wipes on the market. Every single one of these products is up for grabs on Amazon's website. So go forth and shop if you so please. In the meantime, be sure to check out this months' most exciting Ulta launches.